You can use Dermal Fillers to help your patients with everything from early signs of aging to age-related volume loss, and from lips and neck to labia and buttocks. With more than a hundred cosmetic fillers to choose from, and deals on a wide range of dermal filler costs, you can select the best treatment for your patient's skin condition. Your patients trust you to find the most appropriate cosmetic fillers for their needs, so shop at Doctor Medica for the best cosmetic filler brands at affordable wholesale prices. We offer dermal fillers you can user for cosmetic purposes or treat various medical conditions. Dermal fillers available are made of hyaluronic acid, poly-l-lactic acid, poly-e-caprolacton, or calcium hydroxyalpatite, and some contain anesthetic, antioxidants, or nutrients as well. Your clients affected by wrinkles, scarring, age-related volume loss, and other signs of aging want the best cosmetic treatments to restore their skin to a more youthful appearance, and they turn to you for dermatological advice. When you are wondering where to buy the best cosmetic fillers to treat your patients, shop online at Doctor Medica for the most affordable wholesale prices. Although most hyaluronic acid fillers are meant for use in the face, neck, decollete, or back of the hands, some are meant for other areas of the body. Macrolane, for example, has the ability to fill a larger area with volume and is suitable for the buttocks, legs, and other areas that may be affected by scars, volume loss, or an uneven texture after liposuction, or that the patient wishes to augment. 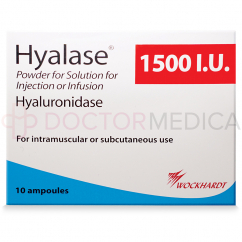 With the growing popularity of labiaplasty procedures, pharmaceutical companies have also developed hyaluronic acid products such as Desirial, which is a filler meant for the vaginal area. Dermal fillers can be categorized based on their primary mode of action or composition. Considering mode of action, the first category are fillers that replace volume, with the majority of hyaluronic acid based dermal fillers falling in this category. The second category, collagen biostimulation, are fillers that are injected for the main purpose of promoting neocollagenesis. 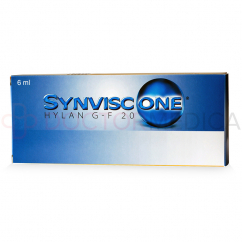 This category includes poly-L-lactic acid fillers. Calcium Hydroxylapatite fillers replace volume and stimulate collagen creation as a third category of fillers. Hyaluronic acid fillers are by far the most common type of dermal filler. Made of a polysaccharide sugar that is naturally present in the body, these fillers are non-immunogenic, resorbable, and biocompatible. These gels are colourless, which makes them ideal for superficial injection. When implanted, these fillers plump skin by binding to and attracting water molecules to the implant site. Juvederm is one such hyaluronic acid dermal filler. 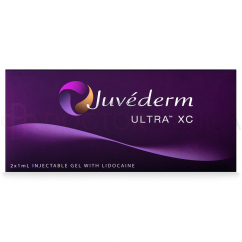 Juvederm comes in several formulations, all of which have different physical characteristics for various indications. The duration of action of hyaluronic acid-based fillers is directly correlated to the stability of the gel; as the filler degrades, the effect is lost. Calcium Hydroxylapatite fillers like Radiesse are unique because they can be categorized as both a volume replacement and collagen biostimulation filler, meaning that they have both immediate and prolonged volumizing effects. Radiesse is made of synthetic calcium hydroxylapatite microparticles suspended in a 70% aqueous carboxymethylcellulose gel, which stimulates collagen synthesis. Over time, these microparticles are degraded naturally into calcium and phosphate ions by phagocytes. This process leads to the development of newly formed collagen. Radiesse’s biostimulating mode of action extend results longer than volume replacement fillers. What are the most popular brands of dermal fillers? 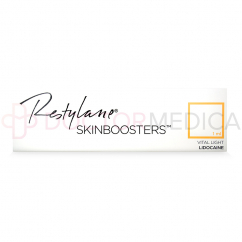 Juvederm and Restylane (including Perlane and Emervel) are the most popular hyaluronic acid filler brands. Followed by Belotero, Surgiderm, Teosyal, Etermis, Filorga, Perfectha, Stylage, Pluryal, Jalupro, Princess, Intraline, and Yvoire. Each brand usually has a variety of products with different filling abilities, ranging from fillers appropriate for restoring hydration and smoothing fine lines, to fillers for moderate wrinkles, to fillers for deep wrinkles, to fillers that can restore volume to a larger area in severely-aged skin. There are products specifically targeted towards filling lips, products especially for the delicate under-eye area, and dermal fillers for men. Some cosmetic fillers contain antioxidants, which help reduce free radical damage to skin and to the filler itself, and some have added vitamins, nutrients, and amino acids to support healthy skin. Dermal fillers are temporary fillers that restore volume to skin, correcting defects such as wrinkles, scars, and volume loss. 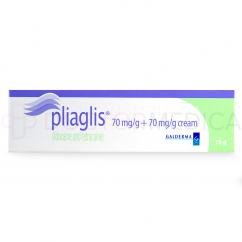 These injectables may come as a gel in a pre-filled syringe or as a solution or powder for reconstitution. Different types of dermal fillers may target facial areas such as the lips, facial line, and under the eyes, or they may target other areas of the body such as the buttocks or even the vaginal area. 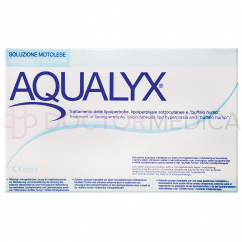 Hyaluronic acid fillers work by holding many times their volume in moisture. 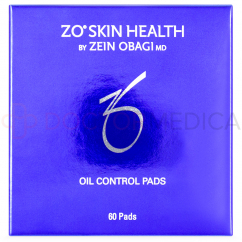 With this extra volume added to dermal tissue, the tissue plumps up and stretches the overlying skin. This reduces the look of wrinkles or adds volume to make an area larger, such as the cheekbones or buttocks. This hyaluronic acid gradually breaks down, just like the hyaluronic acid naturally found within tissues. These products present a minimally-invasive alternative to surgical interventions such as rhinoplasty. Doctors can use dermal fillers to add volume to certain places in the nose. This can help reduce the look of a bump and adjust the nose shape to be smoother. If your patients are interested in reshaping their nose without surgery, dermal fillers may be the solution. After an injection, dermal filler results may last between six months and four years, depending on the particular product. The most common dermal filler products last six months to a year before breaking down naturally within the body. Types of fillers and why do they differ? Dermal fillers differ in materials, concentration, particle size, application, how much they cost, and other factors. The most common type of dermal filler is hyaluronic acid, usually in the form of a gel in a pre-filled syringe. What alternative fillers can I get for my medical practice instead of Hyaluronic acid-based fillers? While hyaluronic acid fillers are the most common, there are other types of dermal fillers available for sale. Sculptra is one of the earliest cosmetic filler brands, originally intended for facial fat loss related to HIV. 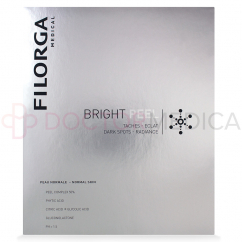 This dermal filler is made of poly-l-lactic acid particles which are then suspended in water. Another popular filler brand, Radiesse, is made of calcium hydroxylapatite microspheres in a gel carrier, and similarly, Ellanse is made of poly-e-caprolacton microspheres suspended in a gel. These alternatives to hyaluronic acid fillers work by adding immediate volume to the dermis, but they also stimulate collagen growth around their particles. Even as the original filler degrades, the collagen remains to restore volume to skin up to two years or longer. Do you offer fillers with Lidocaine? Yes. Many of our dermal filler brands have Lidocaine included in their formula, which is an anesthetic to reduce pain during treatment. These type of fillers have duration lasting from about six months up to about four years, depending on the type of hyaluonic acid used, the level of cross-linking and product stability, and the presence of added ingredients to reduce degradation.